We are Moslems who believe in Jesus peace be upon him and we follow His teaching. 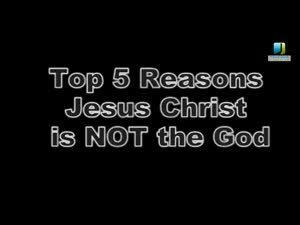 In this episode of the Deen Show Dr Brown will bring us his TOP 5 reasons why Jesus is not a GOD. Watch the show with open mind and humble heart.